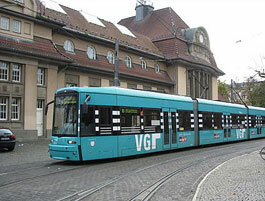 Why book Frankfurt Airport car rental at VIP Cars? Rent a car at Frankfurt Airport with pricing inclusive of CDW, Theft Waiver, Unlimited Mileage etc. Renting a car at Frankfurt Airport (FRA) was never this easy! VIP Cars offers all-inclusive low-priced Frankfurt Airport car rental deals, from top car rental suppliers, allowing you to compare top brands & their prices at one place, thus saving you time & money. Various Autobahns in Germany have enforced speed limits so look for round white sign circled in red & follow what they instruct. Petrol stations can be few and far apart, so make sure that your rented vehicle has enough gas when you embark on a road trip from Frankfurt airport. 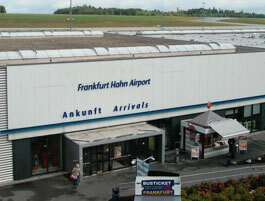 Frankfurt Airport has a Car Rental Center, which is located in the middle of the Terminal 1, in the Airport City Mall. Several of our car rental suppliers like Sixt, Europcar, Buchbinder, and Alamo etc have their car rental desks at the Car Rental Center. Location of desks & how to reach them: For all the passengers who are arriving in Terminal 1, the Airport City Mall – where the car rental center is located – is just a small walk away.However, if you are arriving at FRA Terminal 2, you can make use of the bus or Skyline train service to reach Terminal 1. Where to Return the Rental Car: Note that, though both the terminals of Frankfurt Airport have car rental drop-off parking lots, there are many suppliers who don’t allow the return of the vehicle at both the terminals, so have a word with the supplier to know where to return the rental car. VIP Cars’ suppliers provide a big list of luxury cars at competitive prices from various brands. Popular searches: Porsche rental Frankfurt Airport, BMW rental Frankfurt, Ferrari rental Frankfurt, Sports car rental Frankfurt. On VIP Cars, you can compare 7, 8, 9, 12 and 15 passenger vans and minivans at one place. Apt for a big group of travelers -leisure as well as business people. A big list of car types fall in this category. Compacts, economy cars, sedans and minis are the cheapest to rent cars that you can easily booking even at a short notice of 1 day. 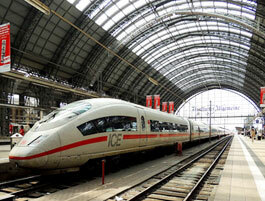 How to rent a car at Frankfurt Airport? Use the booking form given on the website to search for a car at FRA Airport. Our form permits you to choose a different drop off location, hence, allowing you the option of booking a one-way car rental from FRA airport. On clicking the 'Search’ button after filling your rental details you will be taken to the best searches available for the Frankfurt Airport. At this page you can customize your search using various filters like Suppliers or Car Type etc. Upon clicking on the 'Select’ button given adjacent to the deal that you have chosen, you will be directed to the booking page. Here you can book the deal by paying a small amount. 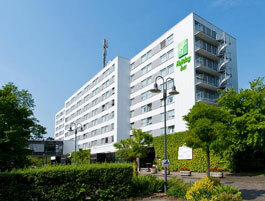 Your booking will be confirmed by the supplier via mail, which will also contain the voucher that you will have to show at the car rental desk while picking your rental at Frankfurt Airport. VIP Cars & its suppliers work together to present best in rental; the features like GPS, Baby Seats, Snow Tires & Additional Drivers are often offered in form of EXTRA. These Extras are paid services that can be availed or ignored depending upon the customer’s need. Each FRA Airport car rental deal at VIP Cars comes with its own list of extras which usually varies from supplier to supplier. Many of our car rental suppliers like Sixt, Europcar, and Hertz provide the option of one-way car rental from Frankfurt Airport. This One-Way rental for Frankfurt Airport allows you to pick your car at FRA & drop off the vehicle without driving back to the airport vicinity. Often One-Way rental is based on supplier to supplier basis & could make difference in rental charges. Established in 1912 by the world’s first ever airline DELAG, Frankfurt Airport was initially a small airport, and the structure that we see today started to take shape in 1933 when the plans for a bigger airport were approved. Today airline carriers like Adria Airways, Aegean Airlines, Aer Lingus, Aeroflot and Air Algerie provide flights to about 293 destinations around the world. Besides being the only airport in the world which provides the most direct flights worldwide, Frankfurt Airport is the 12th busiest airport in the world (as per 2015 statistics). In Frankfurt Airport’s Terminal 1, there are food shops only in concourses A, B, C and Z. It offers a menu which covers cuisines from all the four corners of the world. This coffee brand offers coffee brewed in traditional Neapolitan flip pot. Coa's Kitchen offers a variety of freshly prepared dishes. It offers a variety of delicious take-away snacks. It offers a home cooking ambiance with Tim Mälzer style cuisines. It has a unique menu - truffle salami, fougasse, poppy-seed cake, & much more. Here you can taste the modern interpretations of traditional Asian food. It offers all-things Italian, from Pizzas to pastas. It offers Wok dishes, Sushi, ramen noodles & other Japanese foods. 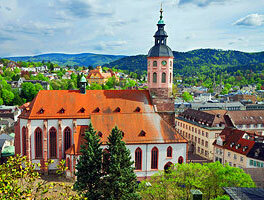 It offers a mix of German and international cuisines. Here you can get your hands on coffee, wine, beer and even champagne. This bakery offers freshly prepared bread-rolls, snacks and other bread specialties. It offers fresh bagels, beer, and a great selection of coffees. Here you can buy baked goods, drinks and cakes. Mayer's Bar offers salads and regional delicacies. Here you can drink the finest Italian espresso in a par-excellent ambiance! Here you can eat snacks and can buy hot and cold beverages. Besides variety of coffees, it offers a great menu for sweets and snacks. 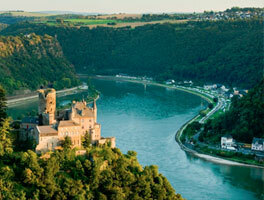 It is home to Balik Smoked Salmon, Prunier Caviar, and Robbe & Berking. It offers fresh bagels, draft beer, and a great selection of coffees. Ciabatta, Fougasse or Poppy-seed cake, it provides traditional bakery products. It is the best place to enjoy some delicious sausages. Heberer’s Traditional Bakery serves traditional cucina Italian. In Frankfurt Airport’s Terminal 2, food shops are only located in Concourses D and E.
It offers food prepared via high-quality standards of Mediterranean cooking. It offers Mediterranean menu and 20 international wines. Quicker is a mixed bag; it is a bakery, a café as well as a shop. Mc Café offers cakes, coffee, snacks, and a great ambiance. Salads, Burgers or Wraps – Mc Donald’s offer it all, and a quick service. It offers finest Italian espresso and a first-rate ambiance. This Japanese noodle bar brings you delicious Ramen noodles, Udon and rice stew etc. Frankfurt Terminal 1 has shops in concourse A, B, C and Z.
Christ Shop in Terminal 1 is best for buying upscale jewelry and watches. It is home to numerous brands like Burberry, Bvlgari, Salvatore Ferragamo, Lindt etc. Here you can buy batteries, cameras, mobiles, and other electronic products. It is best place for you if you want to buy sportswear or casual clothing. 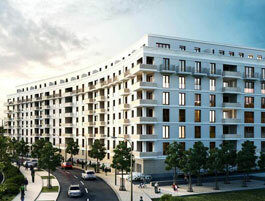 Here you can buy newspapers and magazines in German & foreign languages. Here you can buy travel, vacation, sports and lifestyle products. It offers latest fashion installment from the Boss collection. Bailly Diehl offers a great collection of individual and trendy fashion. It offers clothes manufactured in Germany with the best handiwork. The brand has been designing clothes for men since 1939. The brand offers men and women’s bags and accessories made in Germany. Home to brands like Longchamp, Rimowa, and Samsonite, it offers high-class leather products and suitcases. Here one can buy from multiple brands - Burberry, Bvlgari, Salvatore Ferragamo, Lindt, and Ray-Ban etc. Here you can buy batteries, cameras, mobiles, and other electronic products from leading brands. It offers facilities like internet lounge, fax, scanning and copying etc. Besides magazines, newspapers and journals, it also offers refreshments. Here you can buy any sort of toy from Lego, Playmobil, and Schleich to Mattel. 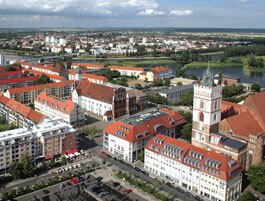 It is home to Brands like Adelheid, Ampelmann, Art in the City, Giesswein, and ebos. Here you can buy products from multiple brands - Burberry, Salvatore Ferragamo, Lindt, and Ray-Ban etc. Home to three brands it is a fashion boutique where you can buy both casual and luxury clothing. It provides care products, kitchenware, and writing utensils manufactured in Germany. It offers unique souvenirs from cuckoo clocks, t-shirts and beer mugs. Here the non-EU citizens can get back the tax they paid while shopping in EU. Frankfurt airport’s Terminal 2 has the following shops in concourse D and E.
It offers the best of both the brands – Boss and Montblanc. German souvenirs, & a variety of t-shirts, beer mugs &cuckoo clocks await you here. The non-EU citizens can get back the tax they paid while shopping in EU. It provides multi-media products in addition to latest magazines and newspapers. Here you can buy world-renowned Swiss watches. The brand has been offering upscale jewelry and watches since 1863. 6:00 a.m. - 10:30 p.m.; 6:00 a.m. - 2:00 p.m. It provides access to products of multiple brands - Burberry, Salvatore Ferragamo, and Ray-Ban etc. Frankfurt airport has the following lounges in various concourses of Terminal 1& 2. Airlines: EL AL, Air Malta, Tunis Air, Iran Air, Air India, Condor, & others. 6:45 a.m. - 9:00 p.m.
Airlines: One world airlines, Aer Lingus, TAP, and SATA. 6:00 a.m. - 8:30 p.m. 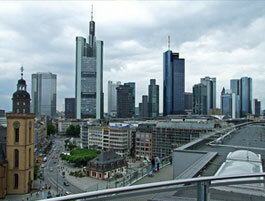 Renting a car at Frankfurt Airport also means that you can explore Frankfurt’s various neighbors. 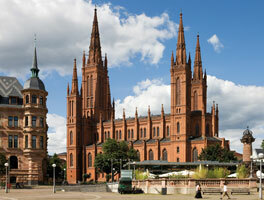 Here are some fine day trips that you can take from Frankfurt in your car rental. 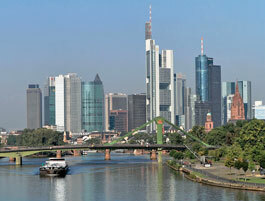 If you have a layover, there is certainly nothing better than a small trip to Frankfurt Main to rejuvenate your spirits. Just rent a car for Frankfurt Airport with us, collect it from Car Rental Center at the airport terminal and enjoy all that you can in the limited time span. In case your layover is longer you can go for places like Baden-Baden,Hanau and Wiesbaden from the list given below, as they are just a few minutes away from Frankfurt Airport by car. 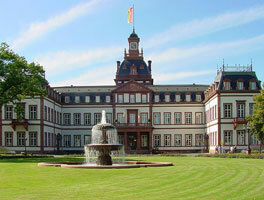 Distance: It is 39.1 Kilometers from Frankfurt, via A66, and 27.9 km from Frankfurt Airport via A3. Book your car rental for Frankfurt Airport today, and make a beeline for a great traveling experience in Frankfurt and Germany. Can You Rent a Car in Germany with a US License for FRA Airport? Yes. No matter whether your license is Canadian, US, or otherwise you can use your driving license to rent a car at Frankfurt Airport if it is printed either in English, French, Italian, or Spanish, among other languages. In the case of a non-Latin driving license, you will have to organize for an International driving license in your home country to be eligible to rent a car in Germany. What are the Speeding Limits in Germany? While moving about in your car rental make sure that your speed limit is not more than 50 km/hr if you are within the city or any other urban area. However, if you are somewhere rural – checking out the less trodden paths or something – in that case, you can speed up to 100 km/hr max. Do I have to be 21 to rent a car for Frankfurt Airport? If you are over 18 years of age you can definitely rent a car for Frankfurt Airport, however, note that it varies from supplier to supplier. Some suppliers also impose conditions on the young renters under 25, and you may also have to pay a surcharge which varies from supplier to supplier. This can be verified by either checking the Terms & Conditions given under every car on search page. Or you can also confirm the same by calling the 24/7 booking support.